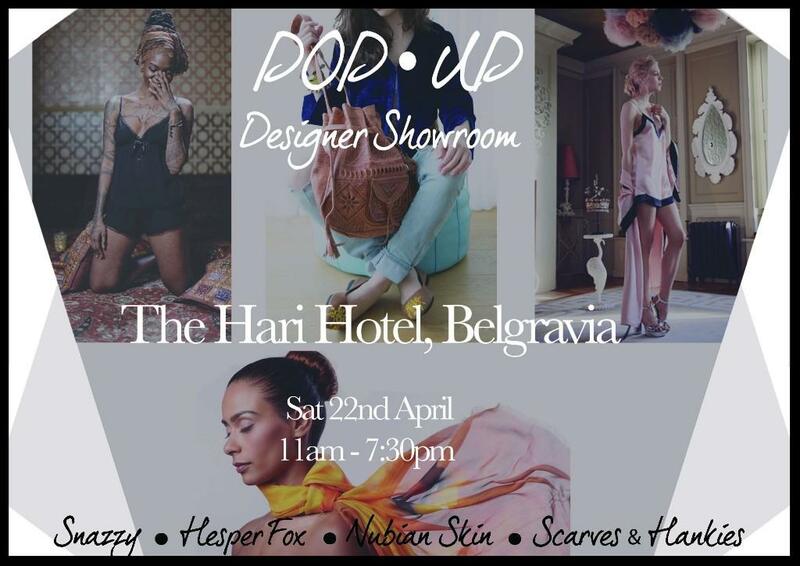 Explore the latest collections of accessories, lingerie, nightwear and scarves from Snazzy, Hesper Fox and Nubian Skin at this one day pop-up designer showroom, hosted by The Hari Hotel in Belgravia. They'll be on the first floor, in the Muse room. Follow the Get Tickets link to RSVP on Eventbrite and the first 25 RSVPs get a 20% discount!